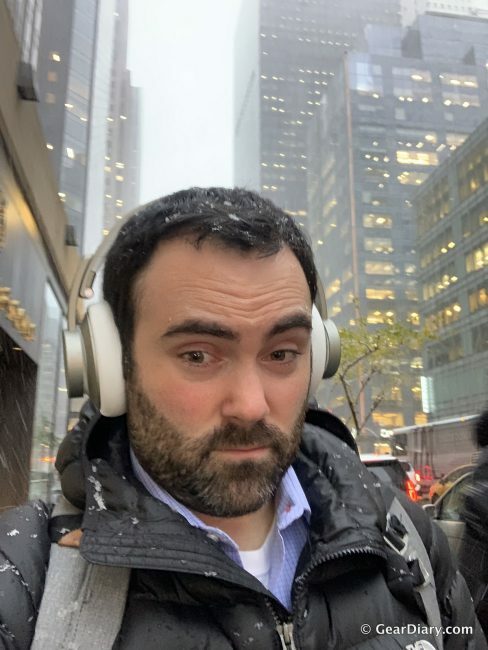 When I first saw the Urbanista New York headphones, I thought they’d be perfect for my commute in the wintertime, thanks to the over-the-ear fit. And I was right. They keep my ears nice and warm, even when it’s below freezing outside. But you didn’t come here to read about my toasty warm ears, right? 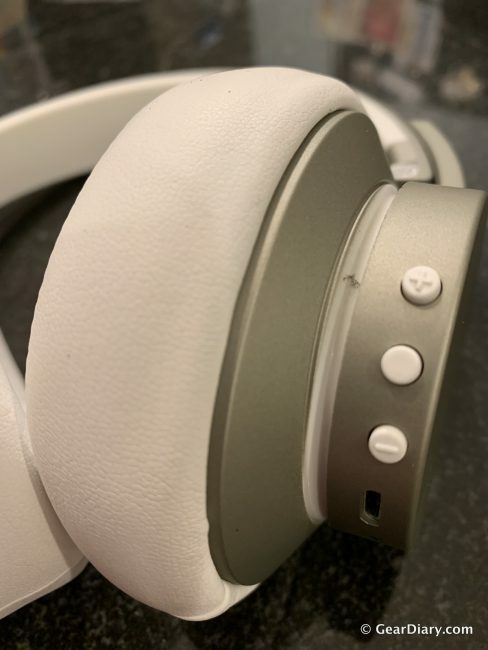 Urbanista’s New York headphones feature wireless Bluetooth connectivity as well as Active Noise Cancellation (ANC). I’m used to wearing Airpods so I’ve gotten used to hearing what’s going on around me while listening to my music or podcasts. But with the ANC feature turned on, I was impressed with just how well it blocked out the outside noise. 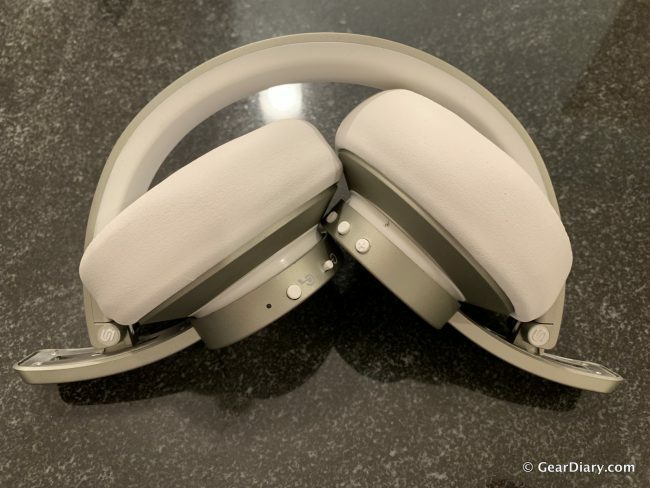 While I’d prefer to hear my surroundings, especially while walking around New York City, the active noise cancellation is a great feature when you’re sitting on a bus or trying to nap on an airplane. These headphones provide great battery life. 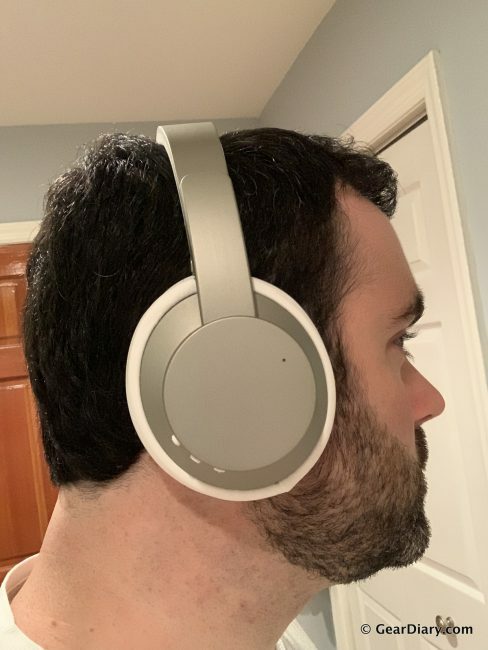 Maybe I’m just used to the shorter battery life of smaller headphones like the Apple AirPods or JayBird X4, but I was impressed with the amount of use I could get out of the Urbanista New York headphones before I had to recharge them. Urbanista says you can get 25 hours of wireless music and calls without active noise cancelling or 16 hours of noise-free music with ANC activated. The ear cups are made of a leather-like material and are super comfortable. I was stuck on the bus for over 7.5 hours and wore my Urbanista New York headphones almost the entire time and they were still comfortable after all those hours. The headband has a soft cushion on the underside that’s made of a silicon-type material that’s not as cushy as the ear cups, but I’ve never noticed any discomfort. The headphones are very attractive. 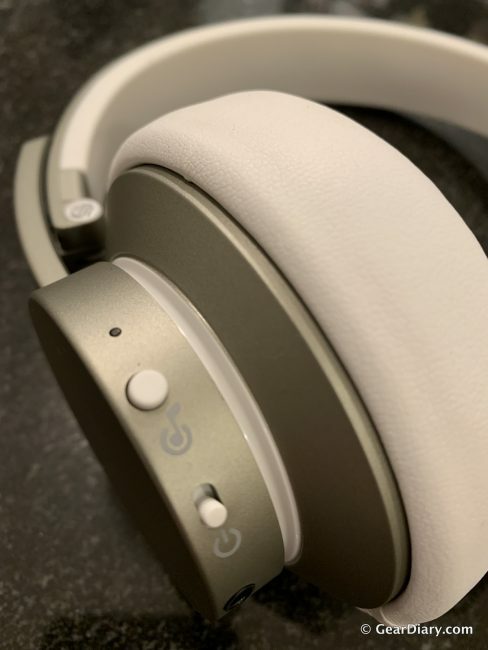 The color I received for testing is called “Moon Walk” and features an aluminum-colored headband and ear cups with white cushioning. There is another color available ominously called “Dark Clown,” which feature all black everything. On the right ear cup, you’ve got three buttons. The top button is volume up, the bottom button is volume down, and the middle button is your play/pause button. The left ear cup has the power switch and ANC on/off button. The headphones also fold nicely to fit into the included travel bag. The headphones come with a nice travel bag with a separate zippered enclosure, which is meant to carry the other included accessories. 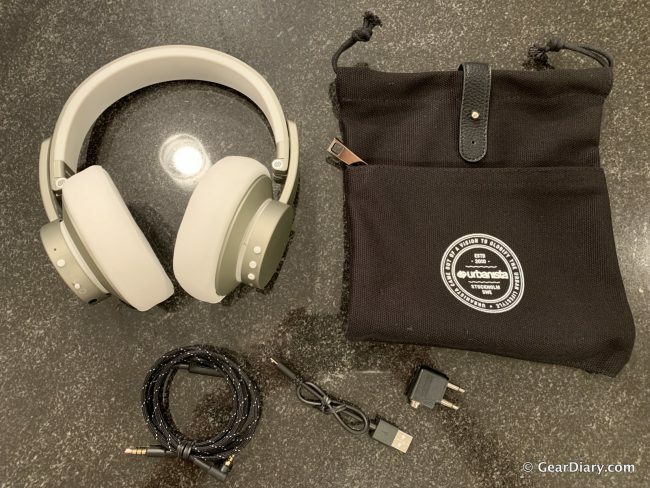 The other accessories include a too-short USB to microUSB cable and a headphone cable that allows you to use your New York headphones as wired headphones in case your battery runs out. 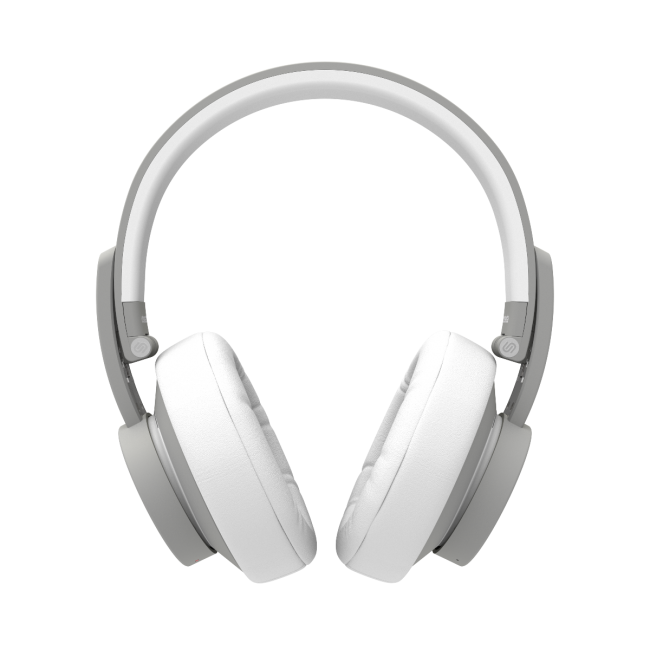 The Urbanista New York headphones provide excellent sound quality. All the notes sound clear and even at high volumes (not recommended) the sound doesn’t get distorted. They sound even better with ANC enabled so that you can drown out the background noise and concentrate only on the music. Phone calls also sound good on the New York headphones, however I’ve noticed that in wind, the person on the other side of the phone has a hard time hearing me. Also, the fact that the ear cups cover your ears completely, you have a hard time hearing yourself to make sure you’re not talking too loudly. I’d say that I prefer the headphones for music rather than making calls. Caught in a snowstorm in NYC, before getting stuck on a bus trying to get home for 7.5 hours. I only have two minor complaints with the New York headphones. Complaint number one is that the ear cups don’t rotate, so they’re not comfortable to wear if you take them off of your ears and put them down around your neck. If I need to remove my headphones temporarily I’ll end up so the ear cups are hugging around my temples instead. My second complaint is that the ANC feature is automatically engaged when you turn the headphones on. I typically do not use the ANC feature in order to maximize the battery life, so it’s an additional step for me to turn off the ANC feature after turning the headphones on. None of these are deal breakers, just simple annoyances. 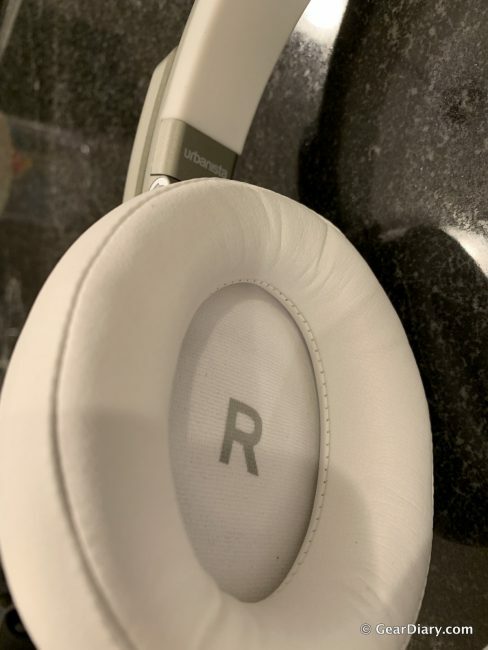 I’m impressed with the design, sound quality, and active noise cancellation functionality of the Urbanista New York headphones. They look great, sound great, and have excellent battery life. If you can grab them during their Black Friday sale at $107.40, they’re an incredible deal compared to the regular price of $179. You can purchase the Urbanista New York headphones directly from Urbanista . Source: The Urbanista New York was a manufacturer supplied review sample. What I Like: Nice design; Great sound quality; Active noise cancellation; Excellent battery life; Comes with travel bag and accessories. What Needs Improvement: Rotating ear cups would be an improvement.